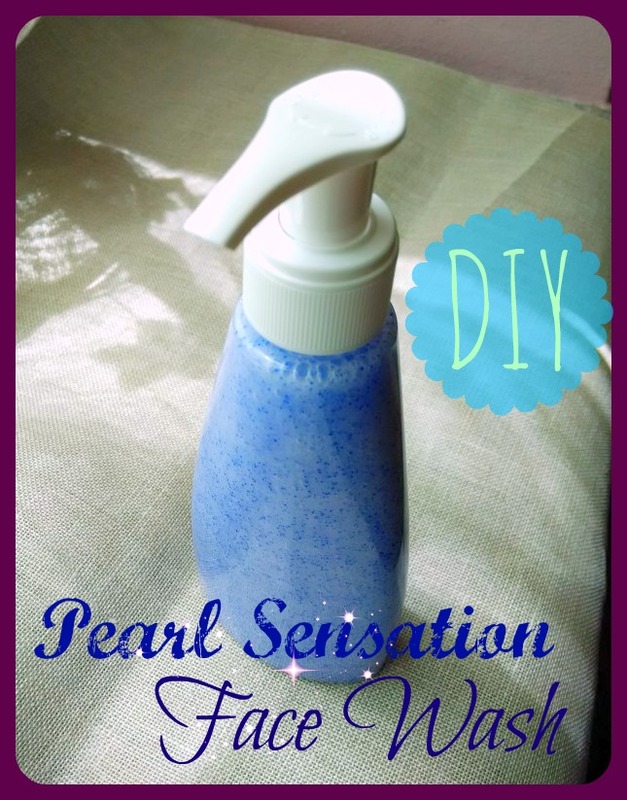 So here is a new recipe for a face wash with a mild scrubbing effect. I must admit I am not a great fan of scrubs: I find that sometimes (I am talking about the commercial scrubs) they are too harsh for my skin and when I want a smooth skin I simply use a good konjac sponge which gives me good results without irritation. 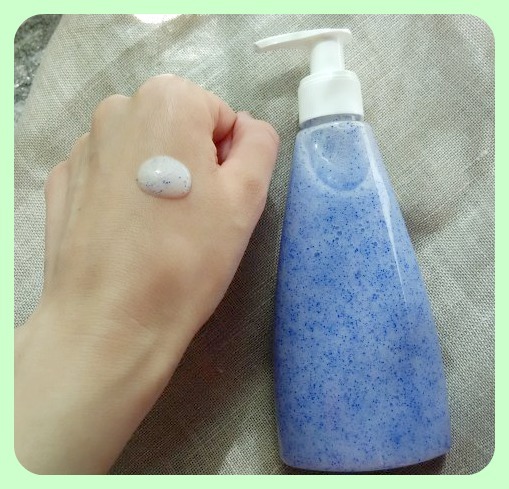 HOWEVER, I found these blue jojoba “pearls” on a website and I thought it would be a great “poetic” ingredient for a face wash. I say “poetic” because these pearls don’t really scrub that much, at least not at the concentration I use them and not in a detergent (perhaps in a face mask they would scrub more)… but they look great in the detergent and they give it an extra texture. Trimethylglycine 2 – (also know an “anhydrous betaine”) – this ingredient is added to make the detergent milder and with a soft feel. If you don’t have it, you can omit this ingredient since this detergent is already very mild (however, if you do omit anything in the recipe, remember to re-calculate the amount of water needed). Preservative – Used at the needed concentration. Just because often I get asked this in the comments: I am using an eco-friendly preservative called “Cosgard” (this is the commercial name) which needs to be added at 0.6%. The reason why I don’t write “Cosgard 0.6” is that you might have another preservative that will do its job just as well as this one and you might get confused with concentrations. So: use the preservative you have, and use it at its specific concentration (you should find this data when you buy the ingredient). Lauryl Glucoside 6 – This, as the next 3 ingredients, is a surfactant; obviously needed to make a detergent! 🙂 But if you don’t have this one, you can try to formulate your own detergent after reading the posts about surfactants 🙂 You can find them in the “Site Index” of this blog). Fragrance Oil – a couple of drops. Absolutely use ONLY COSMETIC fragrance oils or essential oils. Jojoba Pearls 1.5 – this is the “poetic ingredient” of this detergent (just because you might ask: I bought mine on THIS website). 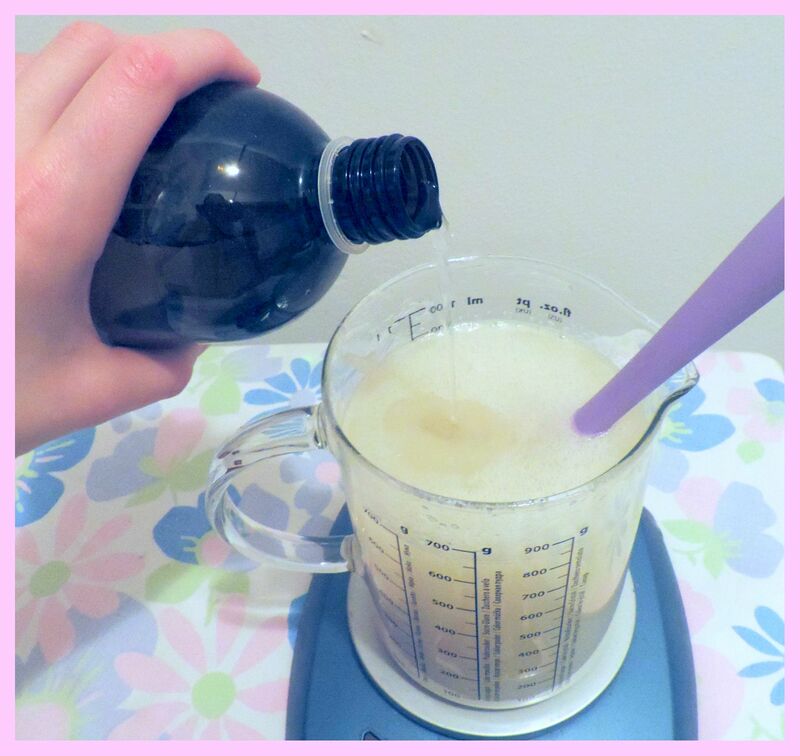 Step 1) Measure Glycerin and Xanthan Gum, then slowly add the water and eventually all the ingredients of Phase A. 2) Give it a good mix with an immersion mixer and set aside. 3) Measure all the surfactants of Phase B in a second becher. Mix with a spatula. When they are well mixed together, add the Fragrance oil and, eventually, the jojoba “pearls”. Mix with a spatula. 4) Eventually pour the Phase A into the Phase B, a little at a time. 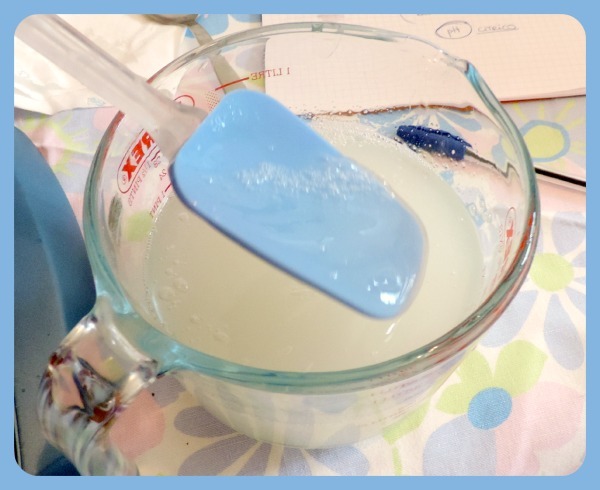 You cannot mix with the immersione mixer anymore (or you would ruin the “jojoba pearls”) so add the Phase A slowly and stir well with the spatula, trying to make as little foam as possible. 5) Check the pH and adjust it, if needed, at 5.5. OH WOW!!! It seems great. I would love to try this. Thanks for sharing. This will be best with my best anti aging cream by Dermology.